Estella's Revenge: Nonfiction November: Late to Week One! 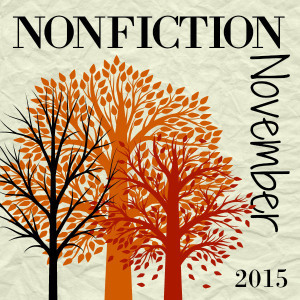 Nonfiction November: Late to Week One! I was so busy partying with Fig and Thistle, The Zen Leaf, and Love, Laughter and a Touch of Insanity that I completely missed the week one discussion for Nonfiction November! But not one to let deadlines deter me, here are my thoughts on Kim's questions. I've read nine nonfiction books this year, and by far I've enjoyed Between the World and Me by Ta-Nehisi Coates the most. It was such an important, well-written, thoughtful book, it continues to resonate with me. Several of the nonfiction books I've picked up this year have been hard for me to review in full, so you can read some minis here. I was completely won over. This one is about a cruise she takes with her grandparents because their health and mental states are in decline, and they need someone to help them on the trip. Lucy volunteers, and the experience is both enlightening for her and nearly heartbreaking. This one struck home so acutely for me having watched my own grandparents' decline and helping take care of them in their later years. A beautiful, beautiful book about the happiness, love, frustration, guilt and other emotions wrapped up in facing our own mortality and the mortality of those we love. After reading The Butterfly Mosque: A Young American Woman's Journey to Love and Islam, by G. Willow Wilson, I find myself wanting to tackle more memoirs dealing with religion or religious conversion. It's such a personal matter, reading Wilson's experience was so so moving, and I feel the need to delve into more. The first book that comes to mind is Pastrix: The Cranky, Beautiful Faith of a Sinner and Saint by Nadia Bolz-Weber, so that might be next. There are a few specific books on my stacks I'd like to read, and apparently, given how long they've been there, I need a little push. Namely, I want to tackle March: Book One by John Robert Lewis, et al. I need to get to Between the World and Me. I'm trying to wait for a time when I won't be distracted when I read it but I'm beginning to think that's never going to happen. I understand that feeling. I went into it thinking I might get distracted, but I was so sucked in...no problem. And that's always a great thing! I hope you enjoy the books you pick up this month! I am like number one million at the library for Between the world and me. I am hoping I get a huge amazon gift card for Christmas. HA I want to read more religious memoirs also. I will be checking those you mentioned out. I'm crossing my fingers that you get that gift card because it is so stinking good. I just read Relish, thanks library, and I'm hoping to get to a couple of Knisley's other books this month. 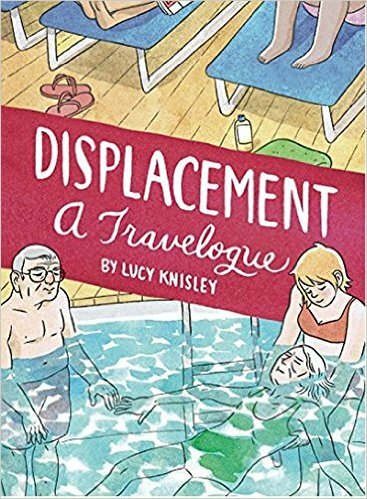 I have Age Of License and just ordered Displacement. She's just an engaging writer/illustrator. Oh good! I just love all of her stuff, especially Relish, and I hope you like the others as well! LOL, it tends to be endlessly interesting to me. Thanks for reminding me that I need to pick up the rest of Knisley's books. I tend to save comics/graphic novels for readathoning or bad reading slumps, though! 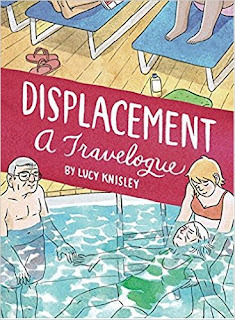 I do, too, but especially with Knisley, I get a hankering and MUST READ her stuff. I'm just about through all her books (maybe one left), and that makes me itchy. I want to read Between the World and Me, and maybe I'll get to it before the end of the year. Good luck! I hope you love it when you get to it. I'm crazy for spiritual memoirs. My favorite has to be Anne Lamott. I haven't read a ton of her stuff, but I would like to read more. Bird by Bird was the first of hers I ever picked up. I just finished Between the World and Me today on audio... totally blown away!! The author reads it himself and it is totally mesmerizing. A must read for everyone!! Right??? I bet it is amazing on audio. I love reading his stuff in The Atlantic and watching YouTube interviews and whatnot. Yep, Between the World and Me and March are both at the top of my nonfiction TBR list. Still working on my first post for Nonfiction November. So late! Better late than never! Looking forward to your thoughts on Between the World and Me and March! I guess I am unofficially participating in Nonfiction November as I finished one audiobook and one print book that are both nonfiction. I didn't even consider this event when I started them, so yay me! I definitely want to continue this trend, especially via audio. I love a good nonfiction audiobook. They make me feel so intelligent as I learn while doing something else. Go you! I rarely listen to nonfiction audio, but I think it would work nicely for me! 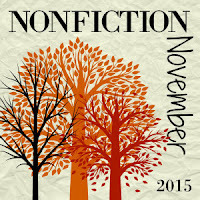 There are no deadlines in Nonfiction November - post anytime you want! Between the World and Me and anything Lucy Knisely writes are on my TBR! Thanks, Lu! So glad to be participating, and yayyyy Lucy Knisley! If you want to read more memoirs on religion, especially conversion I would suggest Girl Meets God. Granted I read it about 10 years ago but I was a 14 year old who didn't read memoirs and I enjoyed it, if that helps anything. It's about a young woman's religious journey through Judaism and Christianity. Her mother is Christian and her father is Jewish. Between the World and Me was actually one of the books on my stack that Nonfiction November pushed me to finally read. I also thought it was really fantastic. It's made me think a lot and it's one of the few books I really want to re-read. I think reading more books about people's experiences with different religions is a great idea. It seems to be such a divisive thing. 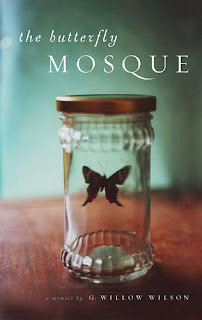 I'm adding a couple of books to my TBR thanks to this post, Andi. Thank you.